Polycarp (/ˈpɒlikɑːrp/; Greek: Πολύκαρπος, Polýkarpos; Latin: Polycarpus; AD 69 – 155) was a 2nd-century bishop of Smyrna. According to the Martyrdom of Polycarp he died a martyr, bound and burned at the stake, then stabbed when the fire failed to touch him. Polycarp is regarded as a saint and Church Father in the Eastern Orthodox, Oriental Orthodox, Catholic, Anglican, and Lutheran churches. His name 'Polycarp' means 'much fruit' in Greek. The late tradition that expanded upon the Martyrdom to link Polycarp in competition and contrast with John the Apostle who, though many people had tried to kill him, was not martyred but died of old age after being exiled to the island of Patmos, is embodied in the Coptic language fragmentary papyri (the "Harris fragments") dating to the 3rd to 6th centuries. Frederick Weidmann, their editor, interprets the "Harris fragments" as Smyrnan hagiography addressing Smyrna–Ephesus church rivalries, which "develops the association of Polycarp and John to a degree unwitnessed, so far as we know, either before or since". The fragments echo the Martyrology, and diverge from it. 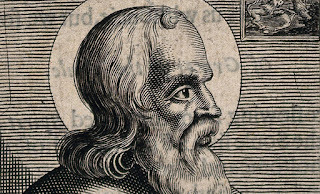 Polycarp is the patron saint of Smyrna. Polycarp occupies an important place in the history of the early Christian Church. He is among the earliest Christians whose writings survived. Saint Jerome wrote that Polycarp was a "disciple of the apostle John and by him ordained bishop of Smyrna". 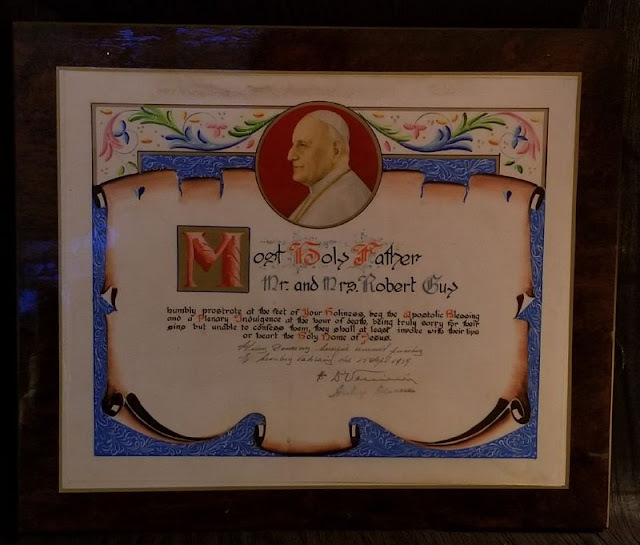 He was an elder of an important congregation which was a large contributor to the founding of the Christian Church. According to Eusebius, Polycrates of Ephesus cited the example of Polycarp in defense of local practices during the Quartodeciman Controversy. Irenaeus, who had heard him preach in his youth, said of him: "a man who was of much greater weight, and a more steadfast witness of truth, than Valentinus, and Marcion, and the rest of the heretics". Polycarp had learned from apostle John to flee from those who change the divine truth. One day he met in the streets of Rome the heretic Marcion who, resenting that Polycarp did not greet him, said: "Do you know me?" The saint replied: "Yes, I know you, the first-born of Satan." Polycarp lived in an age after the deaths of the apostles, when a variety of interpretations of the sayings of Jesus were being preached. His role was to authenticate orthodox teachings through his reputed connection with the apostle John: "a high value was attached to the witness Polycarp could give as to the genuine tradition of old apostolic doctrine", Wace commented, "his testimony condemning as offensive novelties the figments of the heretical teachers". Irenaeus states that on Polycarp's visit to Rome, his testimony converted many disciples of Marcion and Valentinus.